The initial design of the new Queen (obverse) for the 1953 issue had a high relief, laureate portrait which did not strike well on the coins. 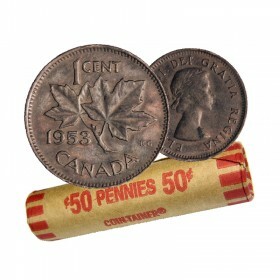 Later that year, the relief was lowered and the hair and shoulder detail re-engraved. 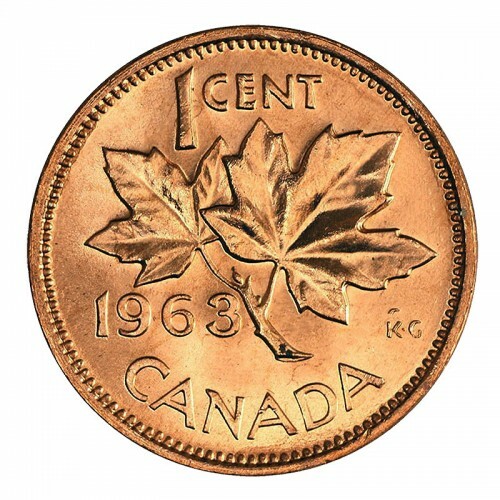 Most popularly among the changes were the two lines at the shoulder, representing a fold in the gown dubbed later as 'shoulder fold (SF)' and 'no shoulder fold (NSF)'. 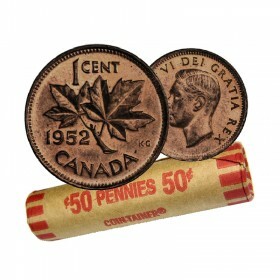 There is another notable change in the positioning of the legend in line with the rim denticles and in letter styling. 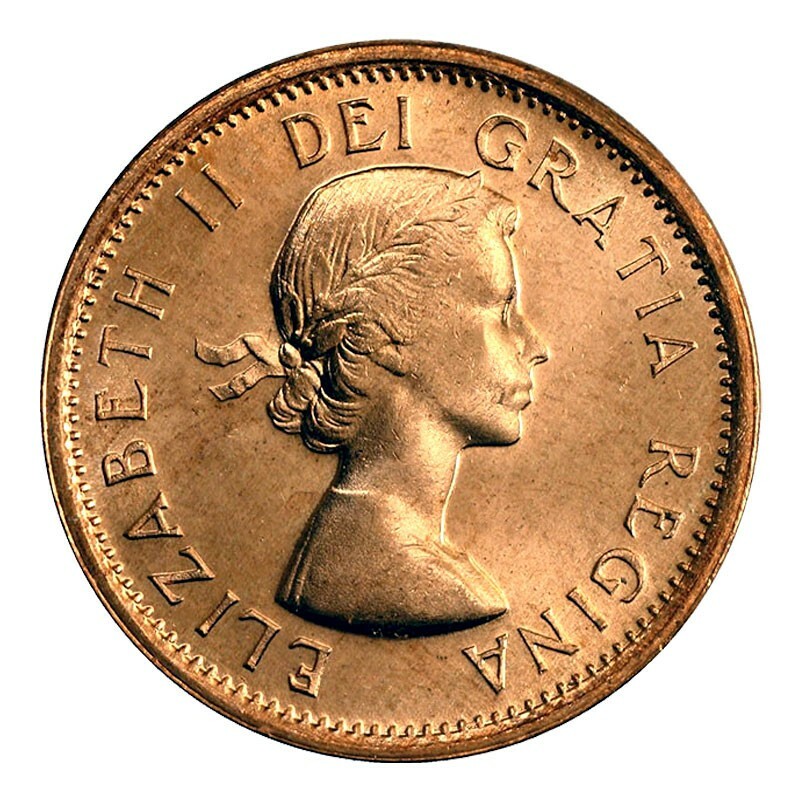 ELIZABETH II DEI GRATIA REGINA meaning "Elizabeth II, by the grace of God, the Queen"
The 1-cent features two maple leaves on the same twig known as "Maple Twig". 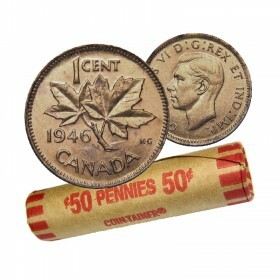 Relatively the exact design as that for George VI. 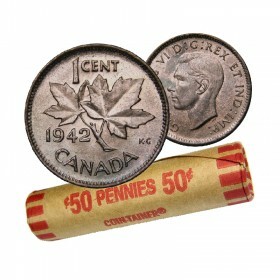 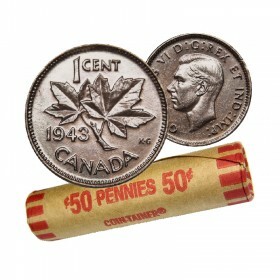 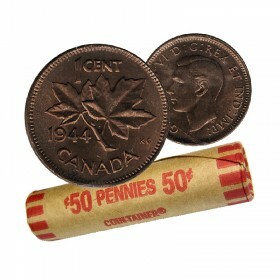 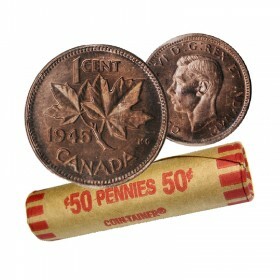 Coin consists of 1963 Canadian 1-Cent Maple Leaf Twig penny in brilliant uncirculated condition.